Welcome to the Resource Centre – a range of free marketing resources to help you promote your raffle. You will also find Guides to assist with Cash Sales and Raffle Draw. Be inspired by our Top 10 Raffle Promotion Ideas blog. Click on one of the tabs below to download your resources. Have a question? Email our support team via Contact Us. 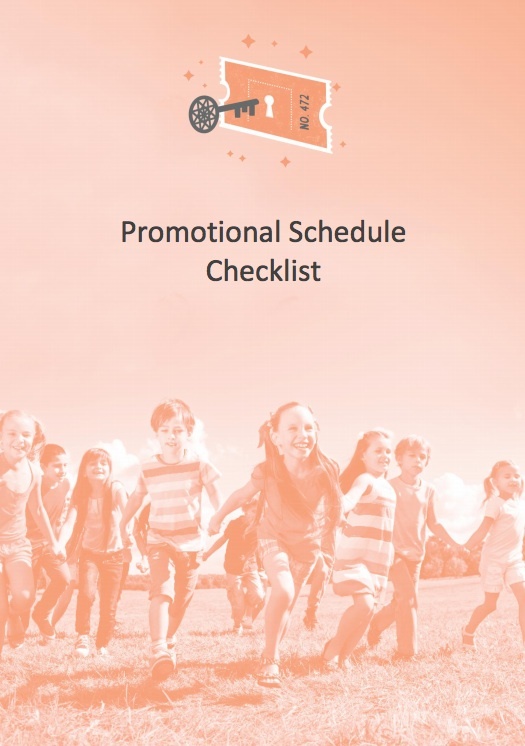 Click below to download our Promotional Schedule Checklist. To download our website cubes for use on your website, simply click on the image you wish to use below, right click and select “Save As”. Load to your site and link your graphic to your RaffleLink URL – easy! It is a great idea to add in a pointer to your raffle on any email correspondence that you are sending out. We would suggest adding one line to the bottom of your e-signature that reads “Support our RaffleLink Raffle For Your Chance To Win [insert prize summary]. Click here to buy a ticket [Insert your unique RaffleLink URL here]. Download our email template and customise with your own raffle details. Feel free to use our “Buy a Ticket” button. Just right click and Save As. 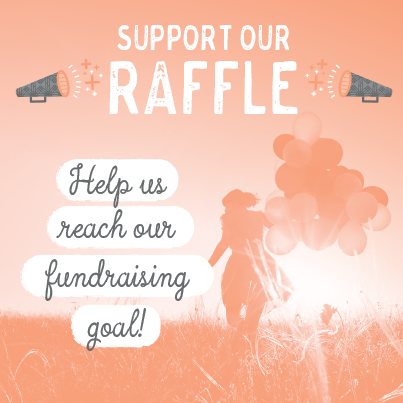 Support our RaffleLink Raffle For Your Chance to Win [insert prize summary or list out prize components in bullets]. 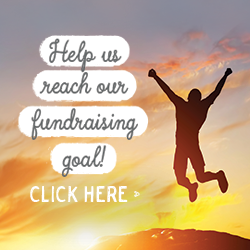 Tickets are only [insert ticket price] and will help us to [insert fundraising goal details]. To download our cover pic templates for Facebook, simply click on the image you wish to use below, right click and select “Save As”. Note sure how to set up a call to action on your cover pic? It’s easy! 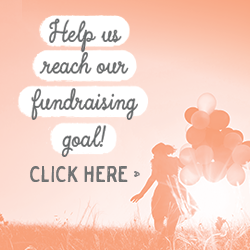 Simply click on your cover pic Call To Action Button and link your button to your RaffleLink URL – easy! To download our timeline graphics for Facebook, simply click on the image you wish to use below, right click and select “Save As”. Feel like some good giving? Show your support for our [insert cause]. 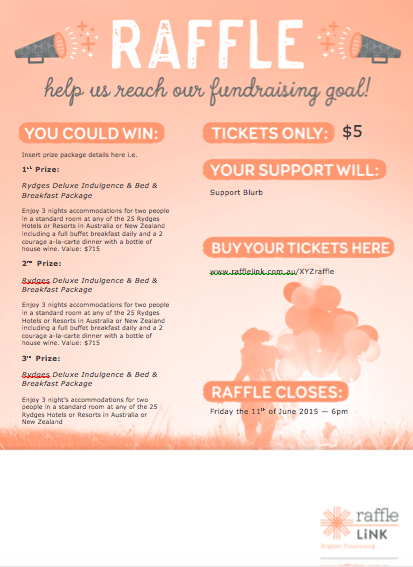 Buy a raffle ticket here <insert link>. You might win a prize but you’ve already won our hearts just by buying a ticket! Need To Shorten Your RaffleLink URL? If your RaffleLink URL is too long to fit into Twitter, make it a Bitly! This helpful little tool will shorten down any URL – perfect for use on Twitter, emails and other applications. Note: They don’t work in Facebook though! To use our poster template, simply click on the artwork you wish to download below and update the Word template with your details. Add a QR Code to your printed promo material to send ticket buyers to your website quickly using their smartphone. Looking To Personalise Your Posters? To download our DL flyer template, simply click on the link below to download your preferred template in Word. Note that our flyers are designed to fit three per page to help minimise your printing costs and time cutting your flyers down to size. Approaching the media doesn’t need to be intimidating – they are people just like us after all! Create a word document outlining your raffle – the who, what, when, where and why. This should include a brief description of your group or organisation, what you are raising money for, the prizes on offer and how to purchase tickets. Research newspapers that would be interested in your story and collect their editorial email address. You can find this information either via the paper’s website or via the contents page of the newspaper or magazine. Consider what makes your story newsworthy. 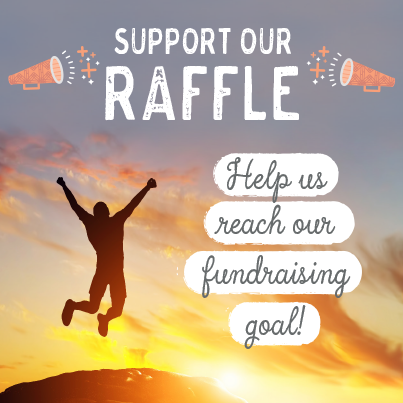 How will your raffle funds help the local community? The journalist you are pitching to will only run a story if they think their readers will be interested in it. Create an email to send to the newspaper, explaining why you think the paper might be interested in your story. An example is below. Attach the word document with the vital information to supplement your email. Send the email to the newspaper using the editorial address you collected earlier. If you are sending the story to more than one newspaper you should create separate emails for each. Journalists may not run the story if they think they don’t have it exclusively. Wait 4 days and if you have not heard anything from the newspaper you may want to call and check if they have received your email. Be polite either way and only phone once. Hounding a journalist to run your story will have the opposite affect and just annoy them. Don’t forget to say thank you! If your story does get covered – make sure you email the journalist to say thank you. Want to see an example? I’ve attached for you information regarding a raffle that we are currently running. The raffle is raising funds for our under 13s to be able to travel to America to compete in an international competition. Our Under 13s are the first Queensland team to have ever qualified for the competition so we thought this might have been of interest to you. They need to raise $20,000 to be able to go to the competition and will be only one of two Australian teams competing. We would love any support the paper could offer to help us with fundraising. If you would like to arrange a photographic opportunity with our team or require more information, please don’t hesitate to contact me. This resource is only required if your raffle will close and be drawn on the same day, usually at an event. This resource is only required if you have sold paper and online tickets and need to combine both ticket batches for a barrel draw. Download guide to Printing Online Tickets for a manual draw. This resource is only required if you are using our Cash Receipting Function. Make cash sales which are then receipted into the RaffleLink system. This function is used instead of paper tickets and will allow for a system draw. Download guide to Receipting Cash Sales and Cash Sales Form A5. 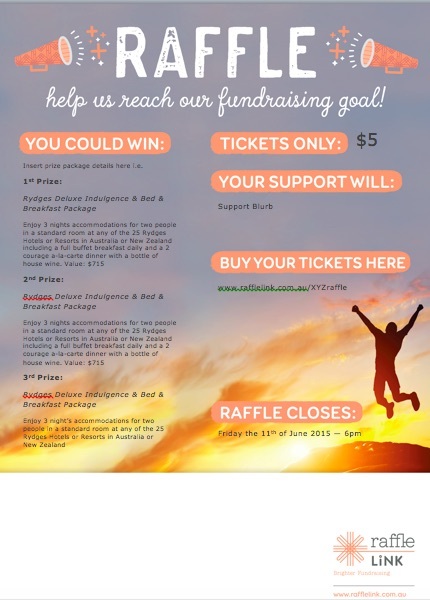 Raffle Ticket Pricing – How high is too high? 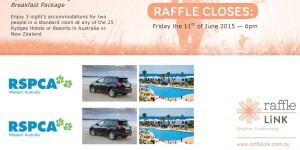 RaffleLink is Australia’s leading online raffle resource for not-for-profit organisations and individuals. Our digital raffle platform enables your raffles to be run seamlessly online. We also offer a prize sourcing service for time and resource poor organisations. 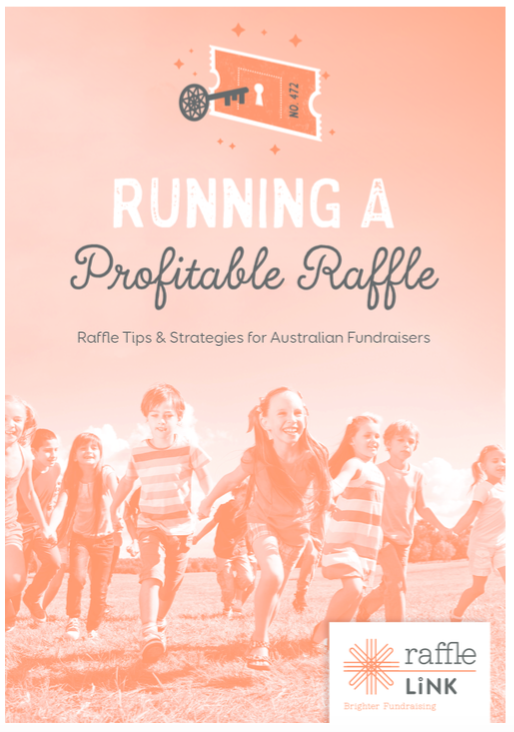 Receive a free copy of our eBook "Running A Profitable Raffle" by completing the form below.